Television viewers around the world will be fixed on watching the US Presidential Election results tonight. But whilst millions will be watching the TV, they will also be Tweeting about the unfolding events, writing blog posts and uploading pictures of their “election party” to Instagram or Facebook. It will be the most multimedia election of all time. Multitasking with different media is now a way of life for many people. They have their mobile phones in one hand, a laptop in the other and they are watching the TV out of the corner of one eye, all at the same time. 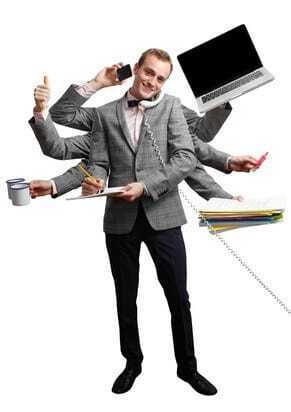 Research has consistently shown over many years that multitasking like this is a myth. We think we are achieving things, but that is an illusion. What happens is that our efficiency with each task falls. As a result we perform less well with each of the tasks we do together compared with when we do the same things singly. And before you say it, the research has been conducted in men and women and there is no difference. Men and women are equally bad at multitasking. Now, though, new research shows that when people multitask with different media they tend to have higher rates of anxiety and depression compared with people who focus on just one medium at a time. The study does not identify whether depressed people are attracted to multitasking or whether watching multiple media at the same time leads to anxiety or depression. All they have found is a link. But it does show an association between the two. The modern multimedia world almost requires us to do several things at the same time, but it is this loss of focus and attention which could well be behind the link to depression and anxiety. So, if you want to avoid psychological issues as a result of the Internet and the multimedia world we live in, the answers is easy. Focus on one thing at a time. Not only will that make you more efficient and productive, but you’ll also potentially reduce the chances of anxiety and depression. Having said that, even if you do multitask your way through the Presidential Election, you are likely to have a lot less anxiety than two chaps named Obama or Romney. Is Google’s disavow links tool just a trick? Be careful.